Why should I be careful about choosing the right model? There are many machines on the market - some are good, and some are very poor. Manufacturers often 'badge' other manufacturer's products with their own name, which can lead the customer into thinking that the model they are looking to buy has the same 'build' quality as their brand name implies. So what's the point? 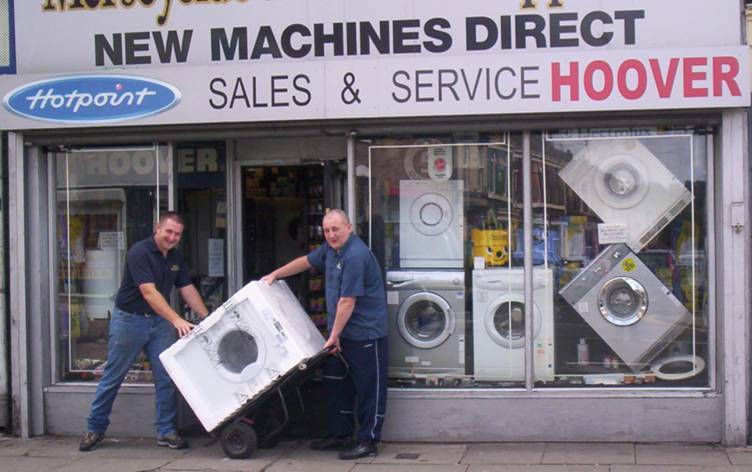 We have over 30 years Experience as Engineers and Suppliers of Washing Machines, Tumble Dryers and other Domestic Appliances. You can rely on us to provide you with same day service and repairs with our brand new, extensively tested and recommended machines. We would advice you to consider the excellent models on this site that we currently have in stock at great prices. Don't rely on buying a machine from a large warehouse superstore that may know very little about the product - give us a call and speak to one of our qualified engineers who can advise you on the best model and price! We have a variety of Fantastic Offers on some great models. Call us on 0151 207 0533 for our latest and best prices.